Although the organisms that we now call probiotics have been brought into discussion at the beginning of the past century, it’s only in the last few years that they’ve started to receive attention from the public. But it seems like we’re now making up for all the wasted time, because probiotics are more and more popular and every year the sales are growing in amazing percentages. We’ll buy anything that’s even slightly associated with probiotics, as we’ve come to the conclusion that they’re the answer to many health problems. And they really are, even if some of the studies performed on different strains show conflicting results. Probiotics are essential for healthy digestion, and even for overall health as they’re very beneficial for the immune system. Still, not many of us know what they really are, an even if we do, the products we believe to contain probiotics don’t really meet the requirements to be classified as such. 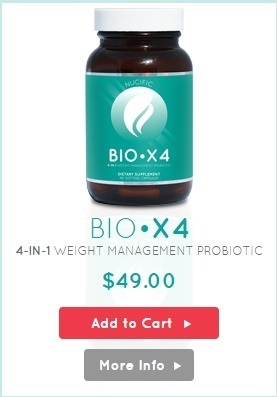 What might have started as a probiotic product might have lost this quality shortly after being available for sale, offering none of the benefits that we believe it to have. 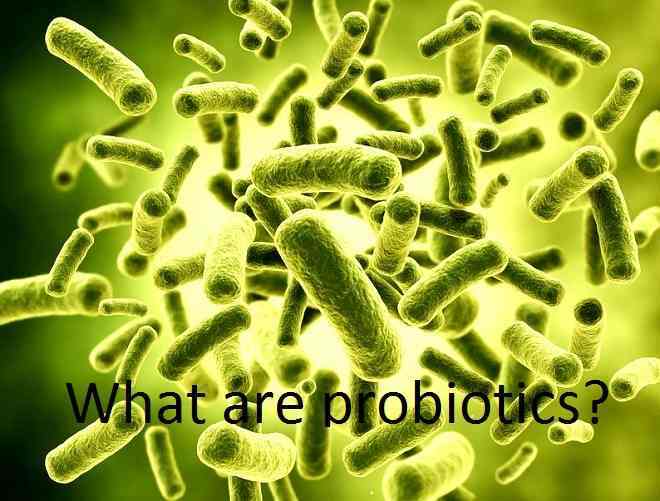 Probiotics are bacterial strains that benefit the body. We naturally harbor around 500 species of bacteria, most of them found in the digestive tract, where they essentially help in moving food through the system. These tiny live organisms are found in the human body in a much larger number than it’s cells, which means that our bodies work very much like complex ecosystems where each life form depends on the other. It might seem disturbing at first thought, but affecting this balance can easily have very dangerous consequences, because along with the useful bacteria we also host organisms that must be kept in check. Some probiotics will actually help in directly removing dangerous bacteria, but in the end it’s all about balance, as the probiotics themselves can become harmful in certain situations. But first, let’s see what else is included in the same “probiotic” category. Yeasts and prebiotics are commonly associated with probiotics, but only the former can be considered as such, even if they don’t have anything in common with bacteria. Yeasts are organisms classified as fungus, and their oldest use has been in fermentation. We use them for bread, wine and other tasty products, but some of them are used as health supplements in their deactivated form. This means that they’re no longer alive, which would make them the exact opposite of probiotics. But they’re rich in vitamins and minerals and low on fat, and some strains are actually used as probiotics, as they’re ingested live. S. boulardii is one strain of yeast with effects that are similar to those produced by the good bacteria and it’s used as such, even if yeasts are not in any way related to probiotics and are not even classified as animals. Then we have prebiotics, which are easy to confuse with probiotics but only because of the name. Prebiotics are non-digestible fibers found in food that allow the growth of bacteria. They reach the intestine (where most of the bacteria is located) intact, and they’re used by the organisms as an energy source. But this is only the case with soluble fiber, as insoluble fiber can’t be fermented by the bacteria but it will still help the digestive process. Fibers are found in fruits and vegetables, but they can also be included artificially in other foods. A healthy prebiotic diet will alone help in maintaining the bacterial balance, but a combination of fibers and probiotics will work best. What do probiotics really do? Although the effects of probiotics are not strong enough to have them classified as drugs, we have more than enough proof for their beneficial qualities over affections like irritable bowel syndrome, infectious and antibiotic-related diarrhea and inflammatory bowel disease. We also know that they’re very helpful for the immune system, urinary health and even oral health. And while normally a healthy person doesn’t need to ingest extra probiotics, these organisms are delicate enough to have their numbers reduced by factors that at first thought don’t seem very problematic. Traveling and exposure to unfamiliar bacteria and foods will affect them, and so will stress and unhealthy habits. But by far the most damage is caused by antibiotics, which no matter how helpful in fighting infections, will also kill the good bacteria. \This is why it’s recommended to ingest probiotics along with antibiotics, just to make sure that the natural balance is not disturbed. A lowered number of probiotics will easily manifest through digestive issues, weak immune system and other affections that might not seem to be related to the digestive system at all, like skin infections. A weak immune system gives way to health issues that are hard to trace back to probiotics, and it’s quite amazing how something so little (literally) can change the entire way our bodies function. But some believe that probiotics can also help our mental health, as the digestive tract seems to act like a “second brain”. The stomach, small intestine and colon have much in common with the brain, using tens of thousands of neurons in the digestive process. Digestion and eating in general don’t seem like they require much thought, but in actuality the digestive system will respond to our thoughts and emotions, as it uses many of the chemicals that are generally associated by most people only with the brain, including neurotransmitters. We all know how easily our moods influence our eating habits, and this is caused by the digestive tract being much more “intelligent” than it seems. It’s affected by the brain and it might be able to influence it back, so an imbalance in the area might directly impact our mental state. But out of the many bacteria strains that are considered probiotics, only a few are included in foods, drinks and supplements, as they’ve been intensely studied and are proven to be effective. Most of them are found either in the Lactobacillus or Bifidobacterium genera, and next we’ll have a look at the most beneficial strands, starting with those that are part of Lactobacillus. This genus has more than 50 bacteria species, and some of the most commonly included in foods and supplements are acidophilus, bulgaricus, rhamnosus, plantarium, reuteri, salivarius, casei, johnsonii, and gasseri. It seems like they’re able to help with irritable bowel syndrome, diarrhea, urinary tract infections, skin disorders, lactose intolerance and even in the prevention of respiratory conditions. Scientific studies actually back this claims, especially in the case of children. It seems like the bacteria benefits them most, as it showed positive results in irritable bowel infection and diarrhea, and even as a preventive measure for lung infections. While the Lactobacillus species are found all across the digestive system along with in the urinary and genital systems, Bifidobacterium is mostly found in the colon. There are around 30 species in this genus, and some of them are commonly included in supplements, like bifidum, lactis, longum, breve, infantis, and thermophilum. They too help in irritable bowel syndrome and other digestive conditions, but it seems like one particular species might cause cavities. Still, most of them will benefit the health, and might even help in promoting a healthy metabolism. But while the importance of probiotics over the digestive and immune systems is well known, they also help the body by producing vitamins. Vitamin K2 is very important for blood clotting, and it’s created by bacteria in the large intestine. So is folic acid, which is essential in preventing a type of anemia, as it helps in the production of DNA, RNA and red blood cells. Folic acid is a B type vitamin, and the same is the case with biotin, another compound created by probiotics. Biotin helps in the metabolism of fats and carbohydrates but also in the absorption of some amino acids, which makes it essential for life. And probiotics also help in the synthesis of vitamin B12, which like folic acid is important in the development of DNA and red blood cells. While probiotics are very beneficial for the digestive tract, they might cause unpleasant effects for the first few days of use. Upset stomach, nausea or bloating are not uncommon for a short period of time, but as the body adjusts these problems usually disappear. But probiotics have the potential of causing allergies, and this is why they shouldn’t be used without a doctor’s approval. Also, increasing the dosage should be done slowly and only if the person really needs it. Many people will notice positive results with a lower CFU (colony forming units, the actual number or individual organisms) count, and there’s no reason for them to ingest larger amounts of bacteria, as it’s recommended to start with the lowest count and only go as up as it’s needed. But while probiotics are very beneficial, they’re still bacteria and could cause serious damage to people that are confronting with severe health conditions. They will help individuals who suffer from upsetting conditions like irritable bowel syndrome, but they should be completely avoided by people that are critically ill. Studies have shown that probiotics might increase the chances of death in the case of some diseases (like acute pancreatitis), and could cause a deadly disease themselves in people with low immune systems. This seems odd given that probiotics are supposed to support the immune system, but this will only work in a body that is otherwise well balanced. Good bacteria will help the immune system if it’s slightly weakened, but if the problem is severe, it will act like any other “invader” and spread where it doesn’t belong, further harming the host that is already weak. Still, probiotics should be harmless for generally healthy people of all ages, including infants. As we’ve mentioned before, they seem to work best for children and elders, but this doesn’t mean that a doctor’s approval is not needed for safely starting a treatment. Children are particularly sensitive, so no form of treatment should be taken lightly in their case. Many products are presented as probiotics (because the term is also used for supplements and foods containing good bacteria) even if they completely lack the qualities necessary to have positive effects over the intestinal flora. Containing different strains of harmless bacteria does not make a product probiotic, as the useful qualities of the specific strains must be demonstrated at least to some degree to qualify. Scientific studies show the effectiveness of many bacterial species, but not all of them are the same and the term “probiotic” should not be used loosely. Also, many people consider certain foods to be probiotic even if they don’t contain live cultures, as it’s the case with yogurt. This is one of the healthiest foods, and it’s produced by the use of bacteria, but none of it is actually alive when the product is sold. This is the second requirement for a product to be considered probiotic: not only does it have to contain useful bacteria, but it has to be alive at the time of ingestion. And this is a serious problem with many foods and health supplements. Because while producing and packing the bacteria might not be very difficult, keeping it alive is an entirely different matter. The organisms start dying immediately after manufacturing, and the CFU count (colony forming units or individual organisms) is hard to establish for a specific moment in time. Most supplements will only contain live bacteria for around 1 year (maybe 2) while still sealed, and only a few months after opening. Light, heat and moisture will kill off bacteria even faster, so by the time they reach the consumer, many products will no longer be probiotics, just bacteria that was once alive. And even if it’s both healthy and alive, the bacteria must be included in a sufficient amount to generate positive effects. Quality probiotic supplements and foods will include at least a few billion CFUs per serving, with the most efficient containing hundreds of billions. It’s believed that the higher the amount, the better and faster the results will be, but people do have different requirements, and many don’t really need the maximum count. And next we’ll have a look at some of the best known probiotic sources, starting with yogurt. This one product has the best reputation and it’s one of the first to have included probiotics, but a positive effect can only be expected from the brands that ad live cultures to their yogurt. It’s worth mentioning that probiotic yogurt and similar products have been associated with obesity, but the subject is still up for discussion, as most specialists believe that the bacteria has nothing to do with the weight gain, which can be blamed on the caloric value of the products. Because they’re known to be beneficial, users might abuse them and harm their health in an unexpected way, but consumed moderately, yogurt and similar products are very healthy and can actually help in dieting. Another probiotic dairy product is acidophilus milk, which, as it’s obvious from it’s name, it’s fermented with L. acidophilus. It’s one of the easiest ways to include probiotics in your diets, and some brands ad extra strains, making it even more beneficial. And one dairy product that is considered as a rich source of good bacteria is kefir, a drink that has the taste and density of drinking yogurt, but it’s at the same time a little bubbly. This unique consistency is caused by the specific types of bacteria and yeasts used to ferment it, but many specialists wouldn’t classify it as a probiotic, simply because the qualities of the bacteria included in it have not yet been proven. Kefir is very healthy and the bacteria is harmless, but that’s all that it can be said about the product at this point, even if many recommend it as a major probiotics source. But probiotics are not only added to dairy, but also in vegetarian products, including bread. Naturally fermented foods (like pickles or sauerkraut) are also rich in bacteria, and unlike kefir, they actually contain probiotic strains. But if you don’t feel like changing your diet you’re looking for fast results, probiotic supplements would be the best choice. Using a supplement instead of choosing specific foods (although even supplements will work better along a healthy diet) might seem easier to many. This is probably why probiotics are one of the best sold types of supplements at this time, and a new one seems to be released every day. With a supplement you know exactly what bacterial strains you’re ingesting, in what quantity, and what benefits you can expect. Some supplements include the bacteria alone, while others combine it with other compounds intended to boost a certain effect. You can choose between probiotic products intended solely for digestive health, or more complex supplements that will help you prevent certain diseases or lose weight. There really is no limit when it comes to supplements, but because so many of them are available, consumers should be especially careful when choosing one. First, as we’ve already mentioned, there’s no need to start with a product that has a 200 billion CFU count (for example). This is not what makes a quality supplement, as in some cases, no matter how high their number, all the bacteria is dead by the time it reaches your intestinal tract. Some products will actually have a disclaimer (something in the lines of “live at the time of packaging”) that show potential customers that they’re pretty much useless at the moment they purchase them. These are no longer probiotics, but as the FDA doesn’t regulate these products, there’s nothing that can be done about it. Even worse, probiotics are not required to be properly labeled, which means that many brands include compounds that are harmful for the bacteria. A quality brand will make sure that the organisms will be preserved for as long as possible, protected from air, light and heat. The capsules are best possible packaging when it comes to probiotics, especially vegetal ones. Not only does this assure that the product can be used by vegetarians, but also that the organisms will survive longer. Some brands coat the bacteria with a protective substance and don’t require their customers to refrigerate the products (like it’s usually the case with probiotics), but keeping them in a cool and dry environment would still be the best choice in all cases. The number of bacterial species is also an important factor when choosing a quality supplement, but not as much as the species themselves. A list of 25 strains doesn’t mean anything if there is no proof for their efficiency, while a few strains of Lactobacillus and Bifidobacterium are enough to improve digestive health. The best supplements don’t have very long lists of ingredients or an extreme number of organisms, and they also don’t come at low prices. A quality probiotic is not cheap to make, so any extremely affordable product should be avoided, as it’s most likely useless. But unfortunately a high price doesn’t guarantee quality either, as many scammers use the popularity of this type of supplement to sell extremely expensive but useless products, justifying their price by claiming them to be the best even if they have no proof to show for it. In the end, the best way to make sure that your money is well spent is to gather all the possible information about the product. The company should be open about all the ingredients and the manufacturing process, while at the same time being available for contacting by anyone interested in more details. What other customers have to say about the supplement would be the most important factor when making a decision, but unfortunately user opinions are not always available, especially in the case of very new products. Let me introduce myself. 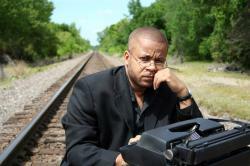 My name is Mark Boyer and I'm a health guru and nutrition expert. My area of expertise is probiotics. I am firmly convinced that a healthy lifestyle can only be achieved by introducing probiotics into your diet on a consistent basis. I can show you ways to bring this good bacteria into your diet in ways you may not have thought possible. After all, probiotics are essential for healthy digestion, but that's not all. Probiotics are important for your healthy immune system. Isn't that what you want, especially when illnesses seem only a handshake away? If you're wondering what probiotics really can do for you, and how they interact once inside your body, then stay tuned. I will be bringing you lots of information, on every aspect of probiotics and their importance to you. Not sure where to start? 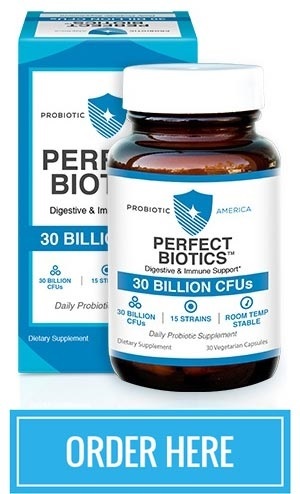 Bookmark ProBiotics America so you can keep receiving the best information about this amazing product. By introducing fresh, whole, organic foods into your daily diet, you'll soon reap the benefits that probiotics will give you. Quality probiotic supplements and foods can turn around anyone's health from just average to feeling like you've never felt before. Be the first to comment on "What are probiotics?"